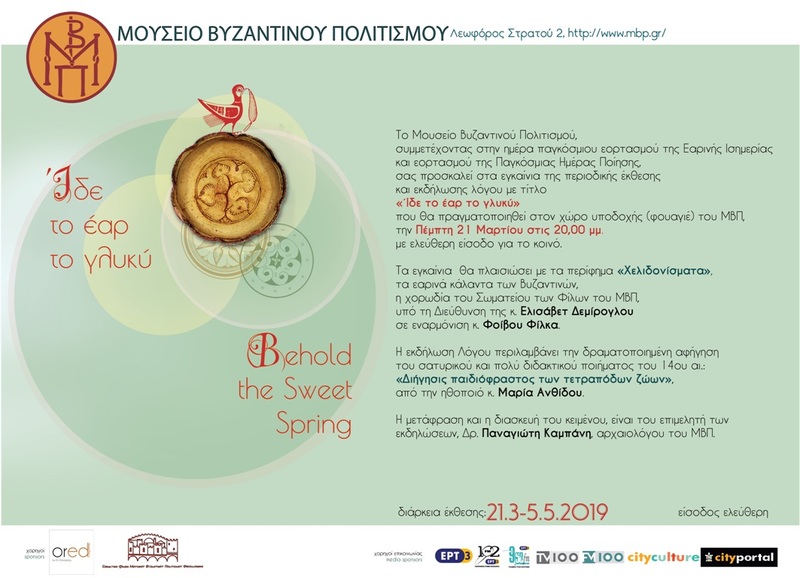 The exhibition, which will be held in the foyer of the Museum and will last until 5 May, is about the coming of Spring through representations of the animal and plant kingdom, as they are depicted in ceramics of the Byzantine period. 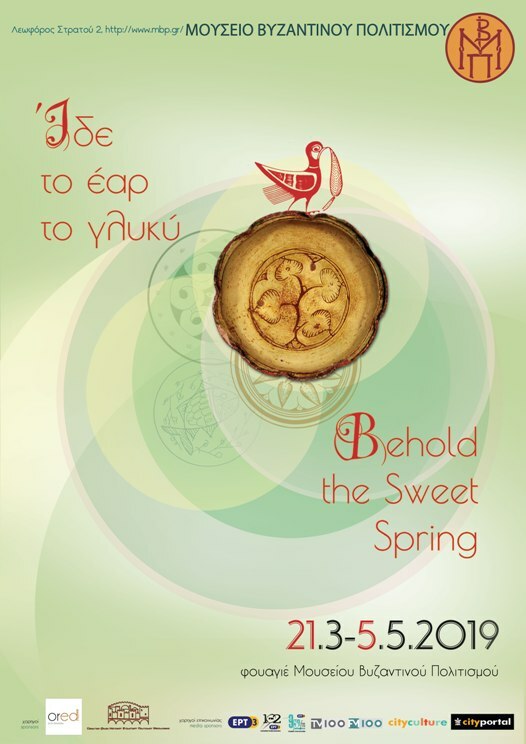 The inauguration will be accompanied by the famous “Chelidonismata”, the “song of Swallows”, the spring carols of the Byzantines, sung by the choir of the Association of Museum’s Friends, under the direction of Mrs. Elisabeth Demiroglou in the harmonization of Mr. Phivos Philkas. The event, to be held on the same day, is dedicated to the “World Poetry Day” and includes the dramatized narrative of the 14th century satirical and very didactical poem “An Entertaining Tale of Quadrupeds” by the actress Mrs. Maria Anthidou. The translation and adaptation of the text was made by the curator of the events Dr. Panayiotis Kampanis, archaeologist of the Museum of Byzantine Culture. The prism through which the animal kingdom is presented, reflects, in any case, the world of people and, as they all seem to be, there is a social satire that mocks human behavior and condemns the malignancy of the royal court. This satire, however, is overshadowed by the parody that scolds and turns mercilessly against both, the politics and the corrupted diplomacy of the Byzantine Empire. In the history of animals, the listener may be able to distinguish human characters from today’s public life.